Author: McEwan, Ian Set In . . . 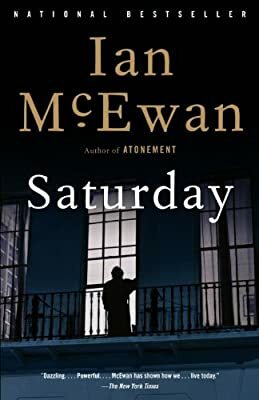 Description: In his triumphant new novel, Ian McEwan, the bestselling author of Atonement, follows an ordinary man through a Saturday whose high promise gradually turns nightmarish. Henry Perowne–a neurosurgeon, urbane, privileged, deeply in love with his wife and grown-up children–plans to play a game of squash, visit his elderly mother, and cook dinner for his family. But after a minor traffic accident leads to an unsettling confrontation, Perowne must set aside his plans and summon a strength greater than he knew he had in order to preserve the life that is dear to him.